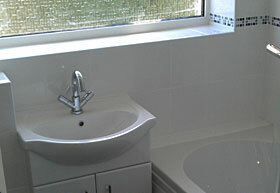 Aside from the obvious functionality, your bathroom can offer you a little bit of precious 'me time'. Whether it is an invigorating shower, or a long relaxing soak in a comfortable bath, The Handymen Sussex are here to help. 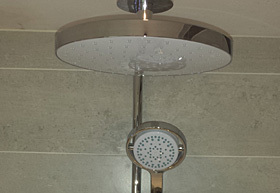 Our bathroom fitters can help you completely redesign your bathroom, plumb in a new shower, replace your old bath, sink or toilet, install new lighting, or simply fix that leaking tap. 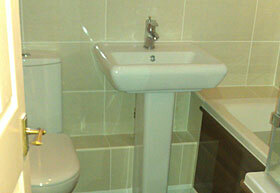 Whatever you need, bathroom installation team is only a click or phone call away and we are always happy to help. Whether you are looking to install a brand new bathroom, fit a new shower, bath or toilet, or just fix a leaking tap, we are here to help.